Do you want to chillax with your friends this coming February 25? 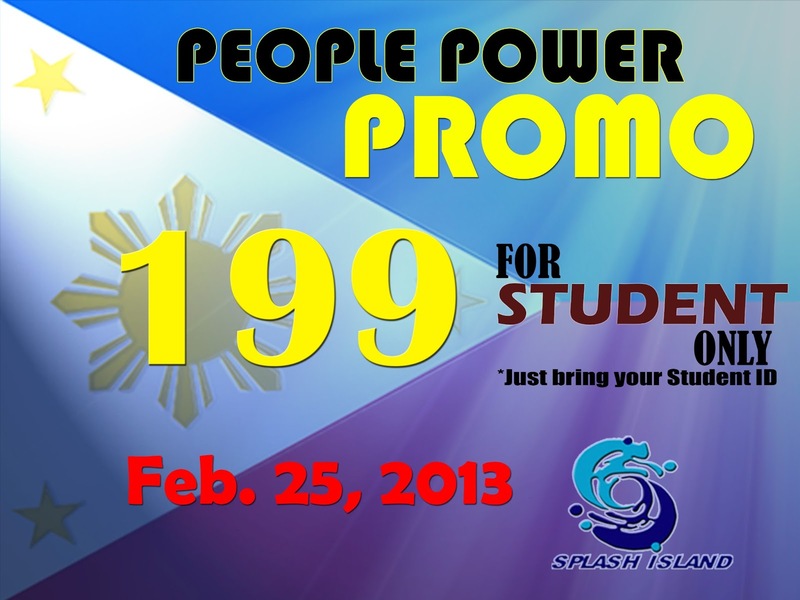 As Splash Island, the ultimate Water Adventure Fun Park in the Philippines will be having a “People Power Promo”. Instead of P 500 All-Day Pass, students can avail this promo for only P 199! Just present your student ID and enjoy the day under the sun. Splash Island is located at Southwoods Ecocentrum Binan, Laguna, Philippines.